Mack's SlimFit earplugs are a smaller version of Mack's Original earplugs and are suitable for people with shorter and narrower ear canals. 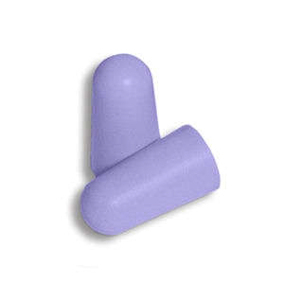 This means they are particularly useful for women, who often find that conventional foam earplugs simply fall out. Moulded with state-of-the-art super low-pressure foam. Fully skinned and tapered, providing unmatched user comfort and hygiene. NRR 29dB.